Contact lenses are simple in design and easy to use on a regular basis. But they can at times be extremely uncomfortable. Contact lenses can also boost your confidence while enhancing your vision. One of the main reasons why contact lenses are popular is because of the fact that they follow the movements of your eyes. This ensures that you can have a fully corrected vision regardless of what direction you are viewing. 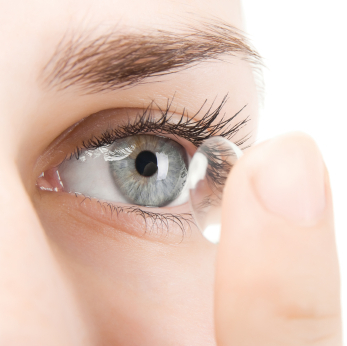 Contact lenses can be used to correct various eye conditions such as myopia (nearsightedness), hyperopia (farsightedness), astigmatism (unequal curvature of the cornea) and also presbyopia (age related reading problems). Also contact lenses completely eliminate any uncomfortable sensation due to blur caused by fogging or water droplets, which is unavoidable in prescription glasses. Contact lenses are definitely better than prescription glasses but when weighed against LASIK, LASIK surgery in Michigan is a better option. LASIK eye surgery is a relatively uncomplicated solution to your eye problems. It is a surgical solution, so it carries some minimal risks. But at the same time it is also the most effective and reliable vision correction for a wide range of eye problems. By opting for LASIK eye surgery in Michigan, not only do you correct your vision but also eliminate any need for wearing prescription glasses. The newest bladeless LASIK uses laser for all phases of the surgery, eliminating the need for a metal instrument cutting the cornea. LASIK eye surgery can be used to correct various eye conditions such as myopia, hyperopia, astigmatism, presbyopia or any other form of eye problem that can be rectified by reshaping the cornea. It can also be used to correct the vision after undergoing a cataract surgery in Michigan. This ensures that you will not have to wear prescription glasses after the surgery and avoid the discomfort that most people go through after a cataract surgery. With LASIK eye surgery, you can enjoy the complete use of your eyes when taking part in activities such as sports where contact lenses pose some limitations. If you’d like to take up swimming, LASIK is a more efficient solution.